The Mariners' American League West rival won the bidding contest for the coveted two-way star. The Mariners’ dogged and public pursuit to sign Shohei Ohtani ended unfulfilled. And now they will have to play against him 19 times this season. 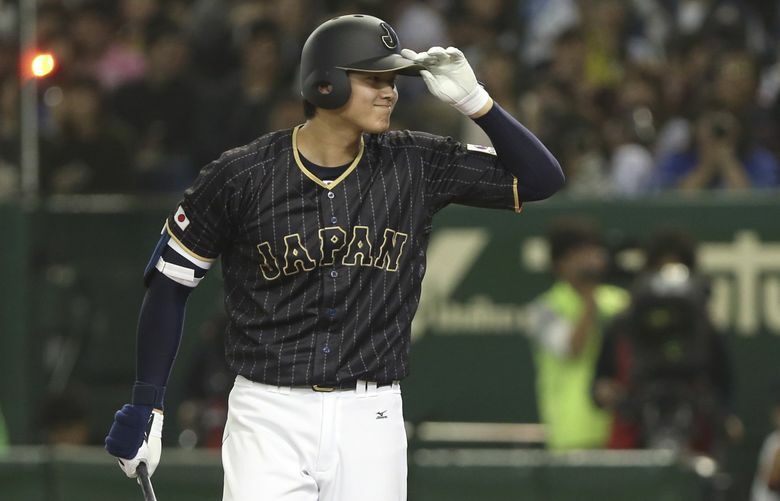 On Friday morning, Ohtani and his agent Nez Balelo ended the speculation, posturing and maneuvering of the seven finalists, releasing a statement saying that Ohtani would sign with the Los Angeles Angels. “This morning, after a thorough, detailed process, Shohei Ohtani has decided to sign with the Los Angeles Angels. Shohei is humbled and flattered by all the time and effort that so many teams put into their presentations and sincerely thanks them for their professionalism. In the end, he felt a strong connection with the Angels and believes they can best help him reach his goals in Major League Baseball. “I want to thank the clubs and everyone else for respecting our intent to make this very important process as private as possible. We were resolved to having a fair, methodical process. Teams clearly put in a lot of work, and we are grateful for that. The Angels later released this statement. It’s not know whether Seattle even finished runner up. The Mariners put maximum effort into wooing the 23-year-old Ohtani to sign with their organization. General manager Jerry Dipoto said the organization would bring its “A game” to the process. It included a detailed presentation about how Ohtani would be used for maximum achievement as a pitcher and a hitter, the benefits of playing in the organization along with touting the city of Seattle as a place to live. Besides the presentation, the Mariners also were able to offer him the most money for a contract. Because Ohtani is not age 25, he’s subject to signing a standard rookie contract that limits how much he can be paid. Specifically, his signing bonus could only be from a team’s international bonus pool. With three trades this offseason, the Mariners added $2.5 million to their bonus pool, giving them a total of $3.557 million — the most of any of the seven finalists. Dipoto declined a request to comment on the situation. He’ll likely comment on the situation in the coming days. Sources indicated that the Mariners were definitely crushed by the Ohtani’s decision, feeling they had done everything they could to land him. For all the speculation of what would determine where Ohtani would sign, it was clear that few people besides Balelo and Ohtani knew what was wanted and expected in the process. Perhaps the Mariners’ public push to get Ohtani, which included Dipoto gushing about the player and describing their desire to sign him on Dipoto’s new podcast, may have worked against them. It was clear that Ohtani valued some level of privacy in the process. There was minimal information about the negotiations and progress. Only the general managers of teams eliminated early in the process offered some, if any, insight, which didn’t actually prove to be fruitful or true. The Mariners now have $3.557 million dollars to spend in pool money. The deadline to do so is on June 15. The prime target for those dollars could be Julio Pablo Martinez, a 21-year-old Cuban outfielder, who held a workout on Friday for teams in the Dominican Republic. There are six players from the group of Braves signees that were made free agents by MLB. The Mariners could also use their dollars there. Dipoto said a few day ago that the team planned to add at least one established pitcher regardless of whether they signed Ohtani, but wouldn’t specify if it was going to be a starter or reliever. Ohtani’s decision does make it seem likely that Dipoto will look to the starting pitching market to add some depth to a rotation that is currently set at James Paxton, Felix Hernandez, Mike Leake, Erasmo Ramirez and Marco Gonzales. He and the rest of the Mariners front office will head to the MLB Winter Meetings at the Swan & Dolphin in Orlando, which start Monday and run through Thursday.